From the 30 November 2014, in the Ename Provincial Heritage Centre, “The Legacy of Charlemagne” exhibition told for the first time the story of the last 2000 years from a new perspective: it showed how the several unification attempts of the European area struggled to find a balance between the unity needed by any such political project and the diversity of the many ethnic groups that composed the population. If this story sounds familiar to the contemporary visitor it is only because the European Union is the ultimate embodiment of this aspiration and the exhibition explains how it finally came into being. The core of the exhibition recalls the historic moment when Charlemagne’s Empire was divided between his three grandsons by the treaty of Verdun in 843. This division marked the end of the Carolingian dream of unification and created the three political entities known as Francia Orientalis (later Germany), Francia Occidentalis (later France) and Francia Media (present countries: The Netherlands, Belgium, Luxembourg and parts of France, Germany, Switzerland, Italy, Slovenia and Croatia). The focus is then placed on the middle region, Francia Media, which is unexpectedly connected in many ways to the contemporary European Union. Grouping countries with no common history or ethnic identity, this temporary realm shows a beautiful example of an early attempt to reach unity within an unsettling diversity. 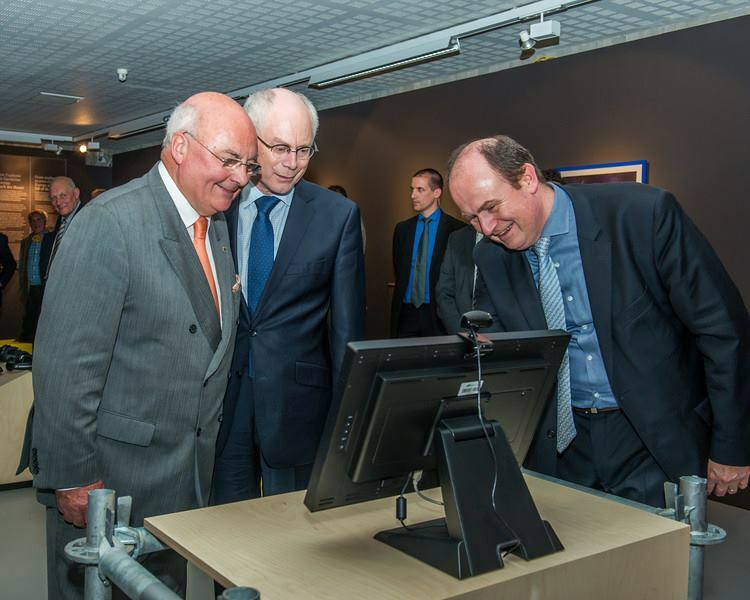 Visual Dimension was in charge to create the interactive applications and the video contents for the exhibition. The German Imperial Crown has been used to crown all German Emperors from the 11th to the 18th century. 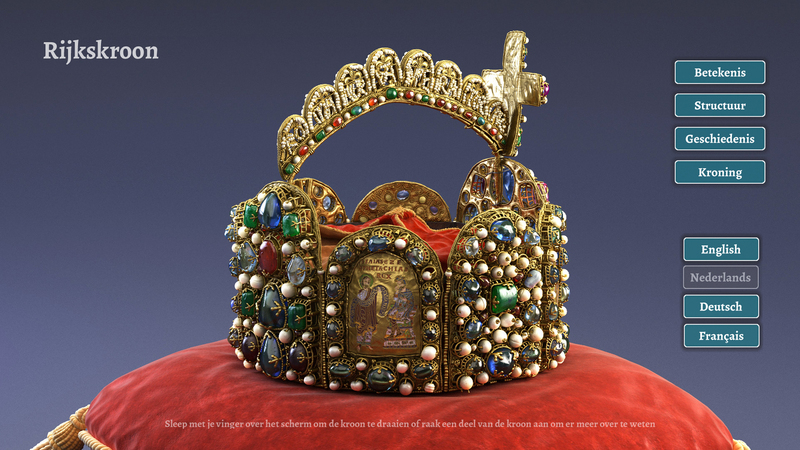 Today, the crown is in the Hofburg Museum in Vienna and is never on loan to any other museum. Through a very detailed 3D model of the crown, an interactive system has been realised to explore the complex meaning and story of this exceptional object of art, using high quality photographs of the real object. 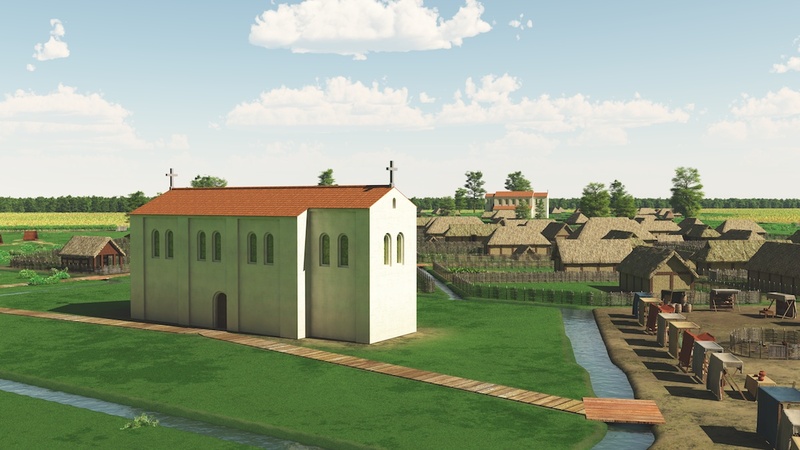 This application shows an excellent example of the use of 3D for museum objects that cannot travel to other museums or exhibitions. This demonstration is made in cooperation with the European project Cradles of European Culture, the Hofburg Museum of Vienna and the German 3D artist Henning Kleist. 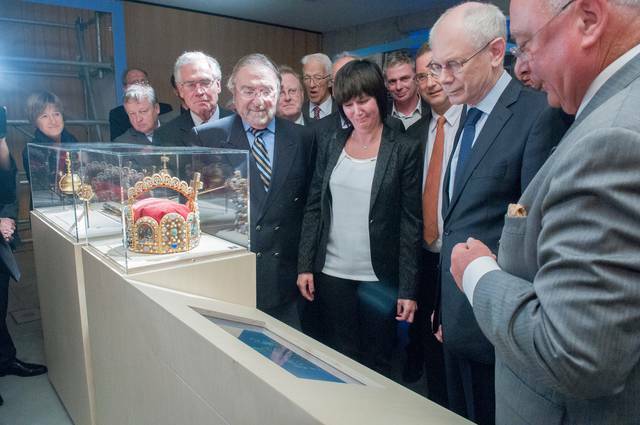 When the exhibition in Ename ended, the application has been brought to Rothemburg museum and it currently on display together with the replica of the crown. The German Imperial Crown has been used to crown all German Emperors from the 11th to the 18th century. Today, the crown is in the Hofburg Museum in Vienna and is never on loan to any other museum. Through a very detailed 3D model of the crown, an interactive system has been realised to explore the complex meaning and story of this exceptional object of art, using high quality photographs of the real object. 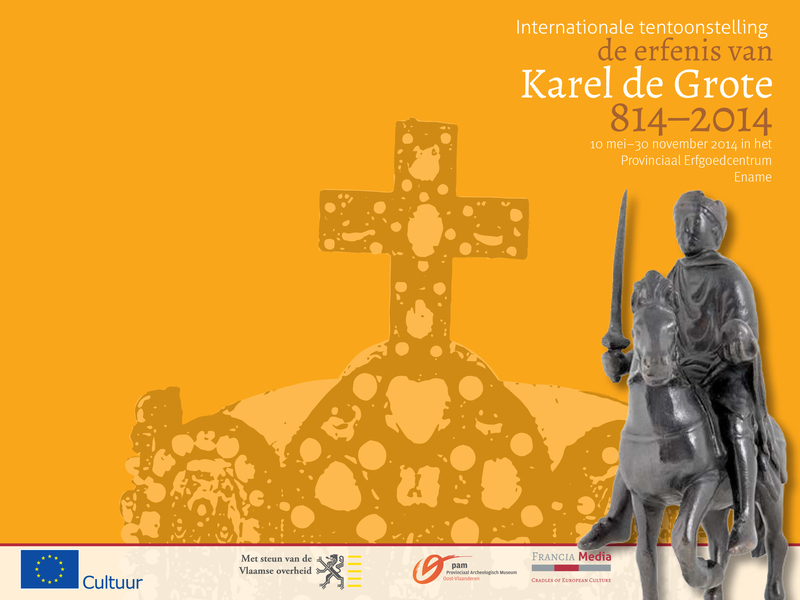 The resulting application was used together with a copy of the crown in an international exhibition “The Heritage of Charlemagne” (2014). 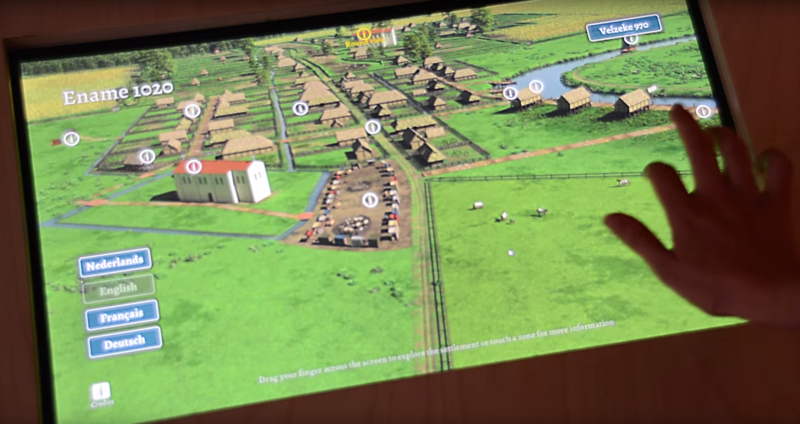 This application shows an excellent example of the use of 3D for museum objects that cannot travel to other museums or exhibitions. This demonstration is made in cooperation with the European project Cradles of European Culture, the Hofburg Museum of Vienna and the German 3D artist Henning Kleist. The original column was started in 1806 at Napoleon's direction and completed in 1810. It was modelled after Trajan's Column, to celebrate the victory of Austerlitz; its veneer of 425 spiraling bas-relief bronze plates was made out of cannon taken from the combined armies of Europe, according to his propaganda. A maquette of the column was displayed in the exhibition. 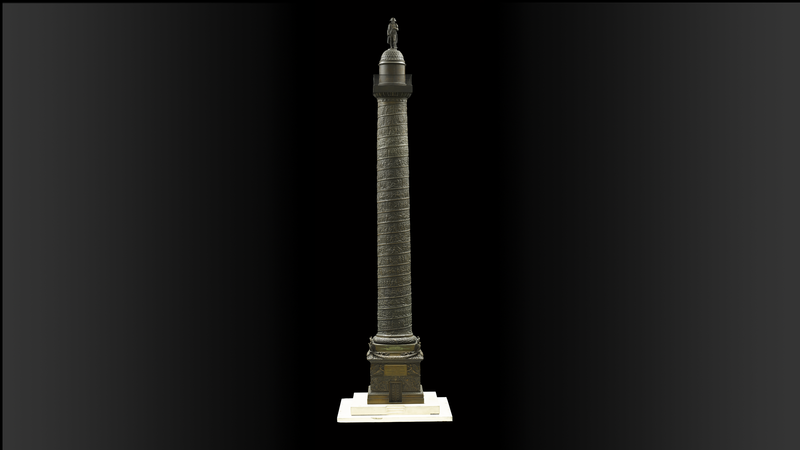 Through a detailed 3D model of the column, an interactive system has been realised to explore the story told on its sides. This application shows an excellent example of the use of 3D for enhancing the meaning of an artwork.